How Large Is Your Corner? Then Boaz asked, “Who is that young woman over there?” And the foreman replied, “She is the young woman from Moab who came back with Naomi. 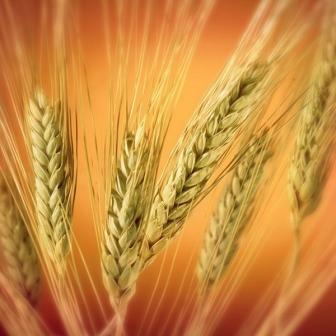 She asked me this morning if she could gather grain behind the harvesters.” – Ruth 2:5-7. It happened to me again. I was reading a story in the Bible and one idea jumped out at me and has held my attention for weeks. And I’ve learned by now that when one passage of Scripture captures me for that long I’m in for some changes. It all came about because I started teaching a series on the book of Ruth. Most of us are familiar with the story of Ruth. Born in Moab, she marries a man from Bethlehem only to have him die and leave her without any children. She decides to go to Bethlehem with her mother-in-law Naomi, and once there goes out into the fields to glean food for their next meal. As God planned it, Ruth finds herself in the field of Boaz, a wealthy landowner and also a relative of her late husband. One day Boaz visits his field and he notices a strange face and says to his foreman, “Who is that young woman over there? Who does she belong to?” he says. Why does he ask? The simplest explanation is that Boaz noticed her because she was an unfamiliar face in a small town, and you know how that can be. When the foreman tells Boaz who she is, a world of information is conveyed. Boaz, like all the town of Bethlehem, knows this woman left her home and family to be with Naomi. Boaz is aware of the tremendous sacrifices Ruth has made to be with Naomi. Next, the foreman goes on to tell Boaz of Ruth’s strange request: “She asked me this morning if she could gather grain behind the harvesters” (vs. 7). Traditionally, we’ve understood Ruth to be asking permission to glean. But this seems unlikely since the law already permitted gleaners. When harvesting in a field, hired men went first, grabbed a handful of standing grain stalks with one hand and with the other, cut the stalks low and laid them on the ground. Female workers followed, gathering and binding the cut grain into bundles to be carried to the threshing floor where the kernels were separated from the husks. Gleaners came last and were permitted in the field only after the hired men and the women finished bundling the sheaves and removing them from the field. Why does this matter? Because many are the time good church-going people are quick to obey the letter of the law while ignoring the spirit of the law. The letter of the law of God says, “Let the poor glean,” while the spirit of the law of God was saying “Feed the poor.” Boaz decides to do both. Here’s where the Scriptures started to invade my mind. In order to understand more about gleaning I needed to read from Lev. 19:9, which says, “When you harvest the crops of your land, do not harvest the grain along the edges [corner] of your fields, and do not pick up what the harvesters drop.” So far, so good. But here’s the question that’s been disturbing me for weeks now. “How big is my corner? How large is my edge?” Did you notice that passage doesn’t say how large an edge to leave? This means it is up to me to decide how much of my income I want to give to the poor. This means the size of my corner is determined by the size of my love for God. One more thing. God instructed the Israelites not to harvest the grain along the edges of their fields as a way to provide for those who were less fortunate. But remember, this instruction was in addition to the fact that Boaz, if he was a true follower of the Lord, had already tithed on the firstfruits of his grain harvest. In other words, Boaz gave ten percent of his harvest to God and left the edges of his fields for the poor. The tithe was his return to God. The edges of his fields are his offerings to help the poor. So, how large is your corner? How wide is your edge? ← What Is In Your Future?